Memberships are currently $30 per year, for the year ending 30 June 18. Visitors are welcome in the bar, however you will be required to sign the Visitor's Book on entry. Locals may visit up to 4 times per year, then Membership is required. Membership nomination forms are available for download, or from the bar staff on your next visit. Nomination forms must be signed by two current members. are not permitted at the Bar. Member's are responsible for their children's behaviour whilst in the Club. 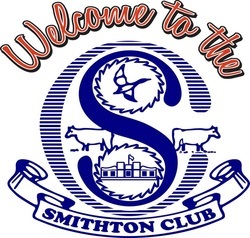 Members are reminded that they must abide by the Smithton Club Rules and Regulations. Members must be neat and tidily dressed after 8pm. Work singlets, gumboots and hats are not allowed to be worn in the Club. Non-members residing in Circular Head may sign in as a visitor up to 4 times per year.